How should we create wealth in societies, and why is it necessary to do so? What improves the lives of the largest number of people? And how do we, living in a globalised world caught in an age of financial and ecological turbulence, respond to the differing needs of individuals and institutions? Lord Green reflects on how the human desires for exploration and exchange have led us into a globalised, urban world, and considers why it is that capitalism is the best system by which to improve material human wealth. As the world&apos;s financial order is in a state of flux, how do we align these drives, and capitalism, with our spiritual and psychological needs? And how should the financial sector respond not only to the current crisis but to the wider needs of the people it serves. Do businesses - and banks in particular - have a duty to society that goes beyond the creation of profit? Does open market capitalism remain our best hope for creating wealth that benefits all of society? Encompassing history, politics, religion and economics, Good Value offers new perspectives on how we can live in a richer, more dynamic world. 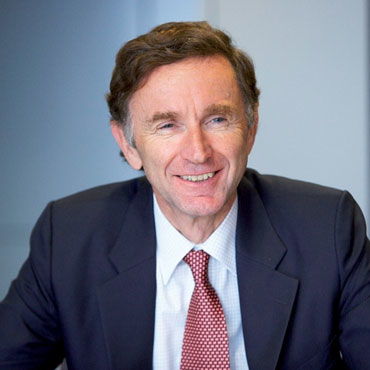 Lord Green of Hurstpierpoint is Minister of State for Trade and Investment. Previously he built up a 28-year career with HSBC which culminated in his appointment as Group Chairman of HSBC Holdings. He joined The Hongkong and Shanghai Banking Corporation Limited in 1982 with responsibility for corporate planning activities, and, in 1985, was put in charge of the development of the bank’s global treasury operations. 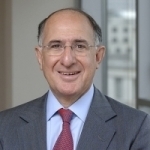 In 1992, he became Group Treasurer of HSBC Holdings plc, with responsibility for the HSBC Group’s treasury and capital markets businesses globally. In March 1998, he was appointed to the Board of HSBC Holdings plc as Executive Director, Investment Banking and Markets responsible for the investment banking, private banking and asset management activities of the Group. He assumed additional responsibility for the Group’s corporate banking business in May 2002. He became Group Chief Executive on 1 June 2003 and Group Chairman on 26 May 2006. Lord Green became Chairman of the British Bankers’ Association in November 2006. On 24 May 2010, he was elected Deputy President of the Confederation of British Industry, and on 1 July 2010 he was elected Vice-Chairman of the International Chamber of Commerce. A trustee of The British Museum, he is also an honorary trustee of Peking University. How do we deal with rewards for failure while supporting growth?